How Individuals Can Save On 2017 Taxes Before The End Of The Year. Investment advisory fees, including management fees and incentive fees, are investment expenses, which face repeal in 2018. Brokerage commissions are not investment expenses. Transaction costs are adjustments to proceeds and cost basis, reflected in capital gains and losses. The current framework was silent about earlier blueprints to repeal carried-interest tax breaks for hedge fund managers. I expect these changes would impact the investment management industry, which may consider changes to business models to achieve better tax efficiency. The tax reform framework repeals state and local tax deductions and AMT starting in 2018, so your best chance at a deduction might be to pay state and local taxes due by Dec. 31, 2017. This is a change from previous tax years when individuals may have postponed state and local taxes to avoid AMT. Be sure to check the latest developments on tax reform before you make this decision close to Dec. 31 since there is blowback on the repeal of state and local taxes, and I expect there could be changes. Don’t solely look at a broker’s tax report or 1099-B for identifying potential wash sale losses. The IRS requires taxpayers to assess wash sales across all brokerage accounts, whereas, brokers only look at a single brokerage account. Brokers calculate wash sales based on an exact symbol (identical position), whereas, taxpayers must base wash sales on “substantially identical positions,” an equity and its equity options, at different expiration dates. Many active securities traders are surprised with big tax bills on April 15 because they mishandled wash sale losses at year-end. Many traders and small business owners don’t pay quarterly estimated taxes in Q1, Q2, and Q3 since they might lose significant money in Q4, so strategies to avoid underpayment penalties are helpful. Consider increasing federal and state tax withholding on paychecks before year-end as the IRS and states treat W-2 tax withholding as being made throughout the year. If you’re in a low tax bracket for 2017 and expect to be in a higher tax bracket for subsequent years, including retirement years, consider a Roth IRA conversion before year-end 2017. 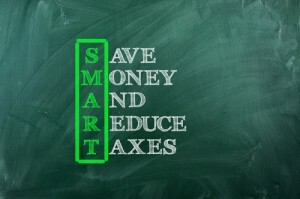 This is often a wise move since Roth IRAs are permanently tax-free, whereas traditional IRAs are only temporarily tax-free. Be careful not to take early withdrawals from any of your Roth IRAs for at least five years, and before you reach age 59½, otherwise you may trigger taxation on nonqualified distributions. Roth IRAs are not subject to RMD rules, which apply to traditional IRAs and qualified plans. If the Roth IRA account substantially drops in value after the conversion date, you can reverse the conversion by Oct. 15, 2018. In my next post, I cover year-end tax planning for businesses, including traders with trader tax status: How Businesses Can Save Taxes For 2017 Before Year-End. This entry was posted in Tax Changes & Planning and tagged tax planning on October 14, 2017 by Robert Green.